Healthy Mothers, Healthy Babies is a collaborative research program aimed at providing life-saving health care for women and children in Papua New Guinea. 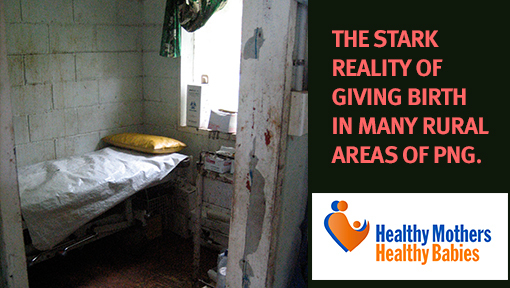 The rate of maternal and child death in PNG is staggeringly high. Find out about our work in Kokopo, East New Britain. We can't do this alone. Donate today to HMHB to save lives. One of the greatest human needs in our region is the appalling level of death and disease among women and children in PNG. 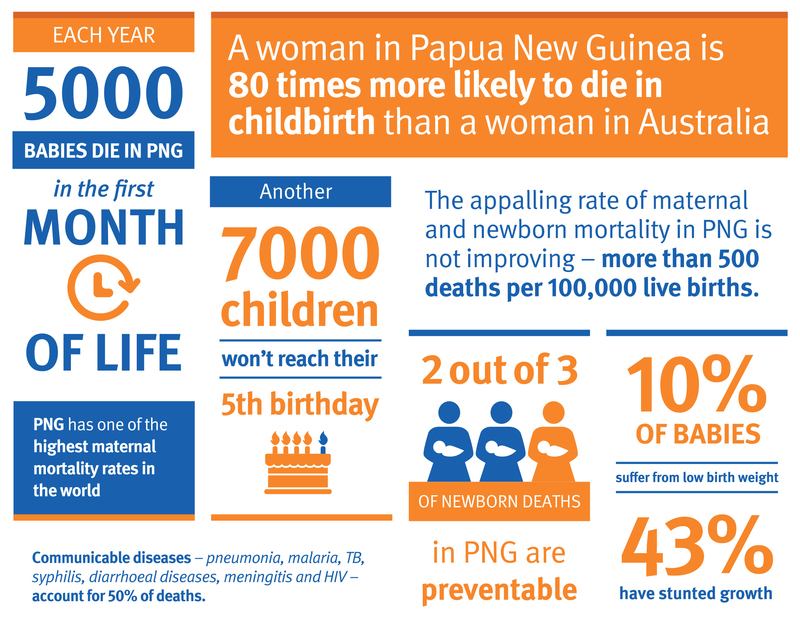 The maternal mortality rate in PNG is one of the highest in the world and 80 times worse than in Australia. More than 5000 newborns die each year, yet two-thirds of these deaths could be prevented with basic but effective interventions. HMHB is a philanthropically-funded collaborative research program involving partnering with local representatives at the district, provincial and national level. It includes five separate but complementary studies to provide a complete overview of the issues being faced. The emphasis is on the generation of evidence that has immediate use in East New Britain to improve services, and that can inform future health policy in PNG and similar settings. Developing new and more effective interventions to improve maternal and child health. The HMHB program aims to define the major causes of poor maternal, newborn, and child health, and to identify feasible, acceptable and effective interventions and service delivery strategies to improve reproductive, maternal, neonatal and child health (RMNCH) outcomes in PNG. Identify and quantify major causes of illness in mothers, newborns and infants attending health care facilities, and the impact of illnesses in pregnancy on poor pregnancy outcomes for mother and infant. Identify key determinants of current maternal, newborn and child health (MNCH) care utilisation, patterns (such as timeliness and completeness) of utilisation through pregnancy and the first year of life, and the predictors of optimal utilisation of health services for MNCH. Evaluate reproductive, maternal, neonatal and child heath (RMNCH) services and identify strategies to improve services aimed at reducing sickness and death. Examine sexual and reproductive health knowledge, attitudes, practices and outcomes among young people, and use this knowledge to develop strategies and inform policy development to improve sexual and reproductive health. Identify strategies to improve RMNCH care, and strengthen disease control and develop new interventions to improve maternal and child health, targeted to populations in PNG with varying levels of access to health services. Newborn sepsis, an important cause of neonatal mortality in PNG, is the target of an exciting new collaboration.